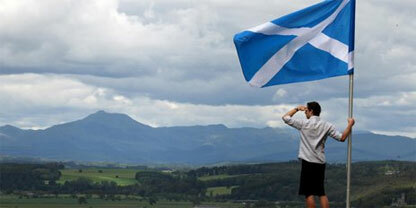 (Fundació CatDem) As matters currently stand and pending the discussion of some outstanding issues, the referendum for the independence of Scotland is likely to take place at some point in autumn 2014. This is, without a shadow of a doubt, a historic moment, not just for Scotland and the UK, but also for the European Union. A positive outcome would lead to a process of negotiation between the UK and the Scottish governments which, ultimately, would result in the first truly internal enlargement in the history of the European Union –not taking into account the reunification of Germany back in 1990-. It is true that polls currently indicate that there is not a clear majority for independence in Scotland. However, it is also true that neither in 2007 nor in 2011 polls ever indicated the extension of the victories that the Scottish National Party (SNP) achieved in the respective Scottish Parliament elections. In light of the SNP’s past results, we should not underestimate the Scots’ capacity of medium / short-term reaction. This is more so if we take into account the long distance that the Scots have walked in just 13 years of self-government and we compare it against the distance that the Catalans have walked since the second restoration of the Catalan Generalitat, 35 years ago. The movement for self determination is supported by Scottish Greens and Scottish Socialist Party in addition to the SNP. There is sufficient time for YesScotland campaign to gain a majority.